We like the current Subaru Outback. It’s spacious, comfortable, well made, pleasant to drive and very refined. The ideal car for families who do want or need an SUV but want something that’s practical, has all-wheel drive and a little off-road capability that’ll come in handy during those family getaways. If you plump for the more expensive models – such as the Outback 2.5i Premium we tested earlier – you get a heap of standard equipment including Subaru’s excellent EyeSight system which incorporates adaptive cruise, autonomous emergency braking, lane keep assist, rear cross traffic alert, leather trim and much more. And we thoroughly enjoyed the Outback 2.5i Premium and we’d happily recommend it to anyone. However, our only real gripe is that we felt that that 2.5 Boxer four struggled with the Outback’s weight. The solution? The flagship Subaru Outback 3.6R. Priced from $49,140 plus on road costs. As the name suggests, the Outback 3.6R is powered by Subaru’s creamy 3.6 litre flat six Boxer engine that produces 191kW @ 6000rpm and 350Nm @ 4400rpm. Apart from the engine and an (excellent) Harmon/Kardon stereo, the 3.6R’s spec list is identical to that of the Outback 2.5i Premium. The six cylinder engine is mated to a continuously variable transmission (CVT) with six steps – four cylinder versions get seven – with power sent to all four wheels. Performance is assured and confident. Acceleration is smooth and there’s always more than enough grunt on tap when you need it, and we found overtaking to be a cinch. Subaru says this version of the Outback will complete the 0-100km/h sprint in 7.6 seconds. 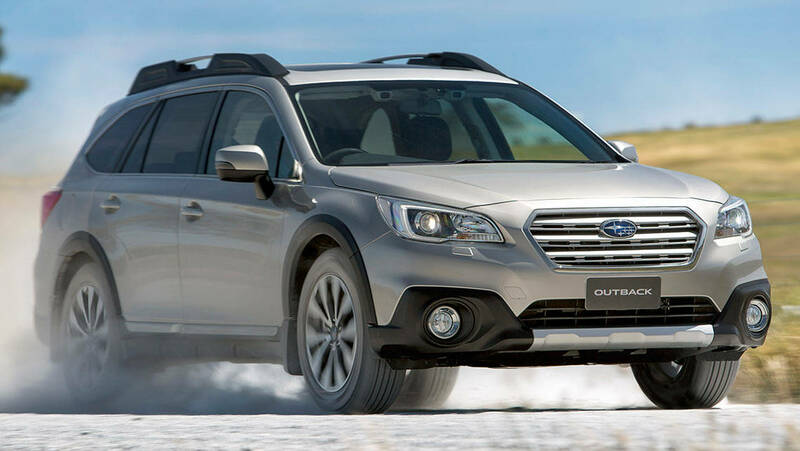 A decent time for a full sized wagon and we believe their claims, but those figures are a little irrelevant as the Outback is more about effortless cruising rather than straight line speed. As noted in our Liberty 3.6R review, the Boxer six even sounds great, with a distinctive and raspy exhaust note. But it’s never coarse or impolite, but it is satisfying. What isn’t so satisfying is that CVT transmission. While it isn’t particularly bad by CVT standards, we just feel that a conventional six-speed automatic would make better use of the engine’s performance and further add to driver satisfaction. Subaru claims that the Outback 3.6R will sip 9.9 litres of petrol on a combined cycle, we averaged 10.5 litres. Not far off the manufacturer’s claims and not too dissimilar from the fuel consumption figures we got from the four-cylinder version. Overall, we believe that the Outback 3.6R is a more complete and well rounded package than it’s four-cylinder siblings and definitely the pick of the petrol Outback models.